Well, as I finished up revisions on my ms (which has a creepy stalker dude in it) ... I am finding creepy stalker details in various aspects of my real life. I had the radio on in the house, and one of my favorite Bryan Adams' songs came on. I remembered the words, and it brought back sweet memories of growing up in the 80's. Then, the very next day I heard the same song on the radio in the car. Which surprised me. I listened more closely to the words and got chills. This is a creepy stalker song! 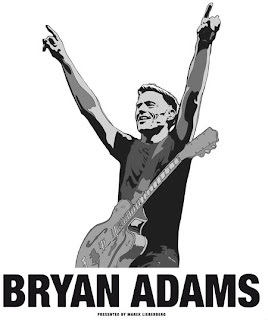 And, then I was researching song lyrics for my ms revisions, and stumbled across a website that listed the creepiest song lyrics ever - - and this Bryan Adams song was listed as the creepiest!! I tried to embed the video here for you - - but that option was disabled - - so, take a quick click on the link above and listen to the words! It talks about dying and sacrificing and fighting ... all for you. "You know it's true, everything I do ... oh ... I do it for you." What's the creepiest stalker dude song you can remember? Can't get the link, but I know that song. I used to like it. Never thought of it as a 'stalker song' before. "Every Breath You Take" has to be one of the creepiest stalker songs ever, but I never thought of it that way til I was an adult. I loved it in the eighties! LOL, now I'll be on a "listening tangent" all day long, finding new "stalker songs." I don't think I would ever use creepy and Bryan Adams in the same sentence. Lol. Escape by Enrique Iglesias is one the creepiest stalker songs out there.